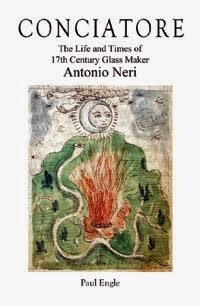 Antonio Neri's writing on glassmaking and alchemy was distinguished from that of many contemporary authors in that his work was all deeply rooted in hands-on experience. He worked in the early 17th century, when art and science were different sides of the same endeavour to understand the world. His contemporaries were often content to repeat century's old teachings about the four Aristotelian elements; that chemical interactions could be explained through an analysis of the balance between hot and cold, dry and wet. But more and more, these notions were being discarded and replaced. It is common to cite the invention of instruments, and other technical developments; these factors certainly did contribute to advancement. But many different forces worked toward the emergence of early modern science, and one in particular is so obvious that it is easily overlooked: artists. On one hand, an artist's job was to produce objects contemplated for their physical beauty and cultural significance. 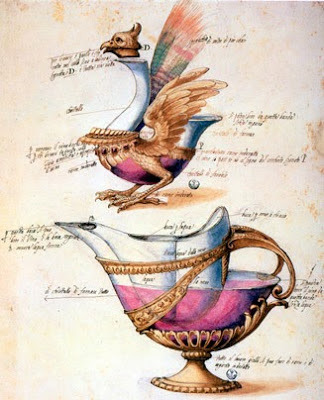 On the other hand, the act of producing these objects created an environment where accurate reasoning flourished. By collecting artists and employing them together, the Medici rulers of Tuscany were creating a cauldron effect where experiences collected, stewed and nature's secrets unraveled. * This post first appeared here on 23 October 2013.